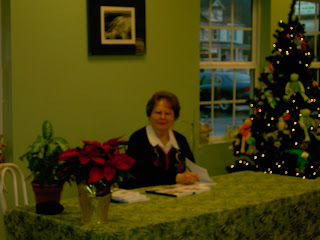 Carole Thompson, author of the short story, A Bag of Sugar for Paula, at the Book Nook in Blairsville, GA. 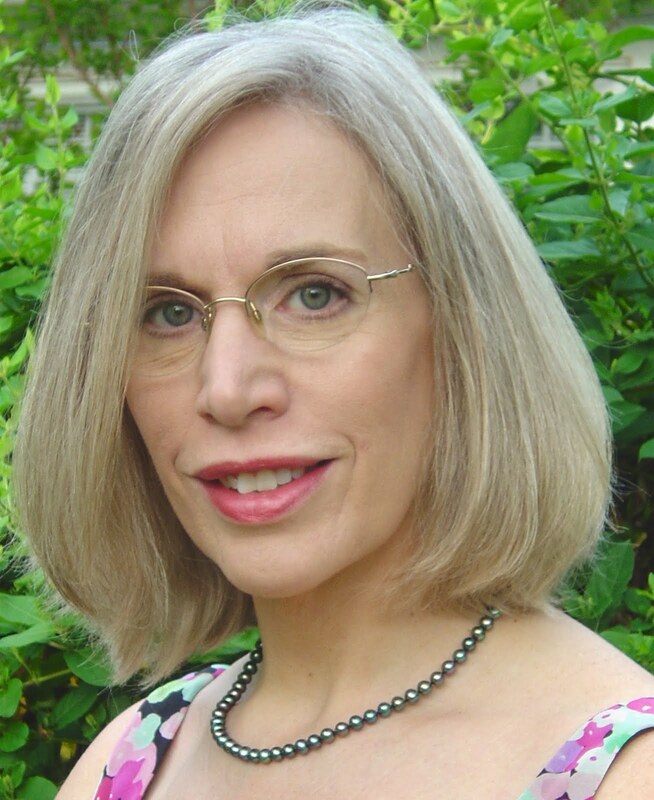 Her story is included in the anthology Christmas Presence, edited by Celia Miles and Nancy Dillingham. I awoke early today, Saturday, another rainy day, but delightful day for me. Shirley Uphouse and I had a date to sign books at the Mountain Valley Country Store in Hayesville, NC, a really neat place for animal lovers. Saddles, bridles, halters, and everything needed for horse owners. Dog food, dog toys, dog "clothes", and anything one might want for a beloved dog. Lots of cool clothes, leather, jeweled jackets, boots, and jeans and hats. 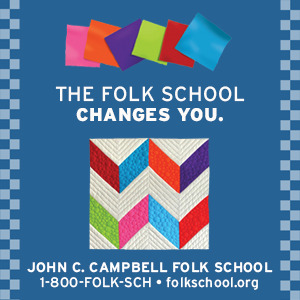 Just the place to find folks interested in our books. We sat up our table in a little spot out of the way and not easily seen by incoming customers, but since this was where the owner placed us, we were grateful to be there. This morning I baked chocolate chip cookies and found an 8x10 photo of Barry riding his horse. My story, An Angel Named Amos, is about him and a very special horse. I placed a holiday plate filled with cookies and the framed photo on the table with my Cup of Comfort for Horse Lovers books. easel. Her book has an attractive cover with a Keeshond on the front. Before I could get my books out, two writer friends, Nancy Simpson and Glenda Barrett, appeared to buy copies. 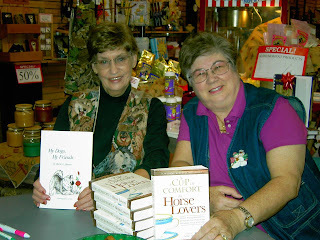 I know that neither of them are horse enthusiasts, so I hope they give the books as gifts, (after they read my story). With friends like this who support my writing, I feel extremely blessed. Both of them already had copies of My Friends, My Dogs. Two ladies approached and said they had seen the article about our book signing in the local newspaper. One lady wanted two copies for two horse loving sisters. Clay County poet, Brenda Kay Ledford bought a book and stuck around to take a photograph of Shirley and me. By this time I had forgotten the nasty weather outside. It did not seem to slow the traffic coming into the store. Recently I read that the smell of chocolate increases the desire to shop, so I offered everyone a cookie. A few just followed their noses and ended up at our table. Since I enjoy meeting and talking with people, I sold two books for Shirley, having to go find her at one point so she could sign one for the lady. I was having fun! I only had ten copies of Cup of Comfort for Horse Lovers. I sold nine. One I gave away. Lorraine and Chip, owners of the store refused a commission on the books, which was extremely nice of them. Yesterday, I kept Carole Thompson company while she signed copies of Christmas Presence at the Book Nook in Blairsville, GA. The store quickly sold out and Carole's husband had to go home and bring more books. Could it be the season? Could it be the books and the subjects of the books? Christmas stories appeal to all of us, and make wonderful gifts. Shirley's book and the anthology I signed appeal to animal lovers and almost everyone is a dog or cat enthusiast. In our area many are horse people. I met a teenager today who said her family owned twenty horses and three of them belonged to her. She brought her mother over to buy a book. We have issued a call for submissions for our next NCWN West anthology. When it is published, we want to hold signings in every town in our area. We'll be sure to bake and serve chocolate chip cookies.